What can an indie comedy set in the eighties do to challenge the mega slapstick comedies of today? According to box office figures not that much, but let’s examine why. In 2009 Jesse Eisenberg, the film’s protagonist, is on the verge of major success with The Social Network whereas Ryan Reynolds’ last relative success was The Amityville Horror in 2005. This leaves Kristen Stewart as the big name, who has just finished Twilight five months earlier: a bankable success then? Adventureland has a curious use of characters and this undoubtedly is at the core of the problem. The only majorly successful star, Stewart, plays a teen that has family problems and is romantically linked with the loser underdog. If nothing new, this should be a hit then, but she’s also sleeping with an older married man which makes any likeability of the character impossible for almost the entire film. 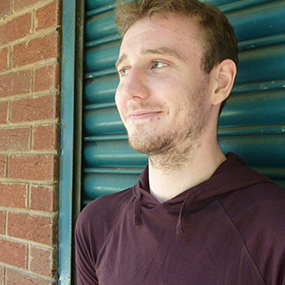 The protagonist, James Brennan, is played by Eisenberg in his predictable detached emotional state: his best friend decides not to financially back him, changing Brennan’s future life and Eisenberg acts partially fed up. We’ve seen this in both The Social Network and The Squid and the Whale, and although these films use these qualities effectively, it results in a hard sell for the audience of Adventureland. We hate the lead woman and can’t particularly root for the lead man. An added dose of dry humour from the most interesting character, Martin Starr’s Russian literature student, simply isn’t played enough, ‘We pay little Malyasian kids ten cents a day to make these toys, we can’t just give them away.’ This is surrounded by slapstick background nonsense which clashes with the Indie cinema vibe. 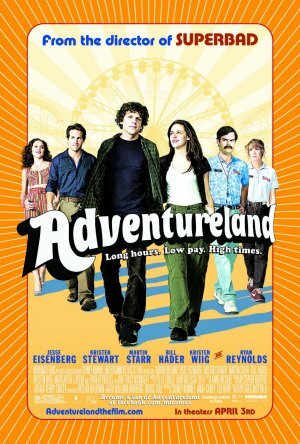 Adventureland is an enjoyable, quirky Indie film however it lacks enough drama, comedy or romance punch to leave the viewer anything but neutral.